Morning Work is the perfect way to get your second graders warmed up each and every day. 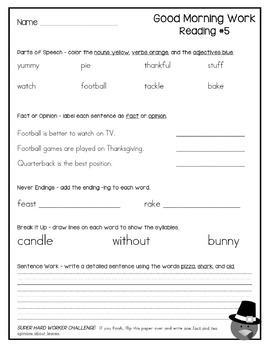 It also can be used to kick start your daily reading lesson or as homework. Jam-packed with rigorous and meaningful spiral review concepts that target common core standards, this collection eases your kiddos into the morning work/reading warm up routine while reviewing those key mid-year concepts! 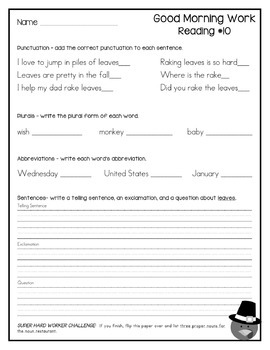 **2nd Grade Math (November) also available! 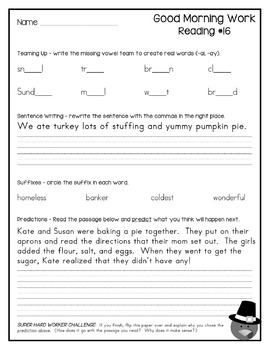 **First Grade Good Morning Work - Math also available! 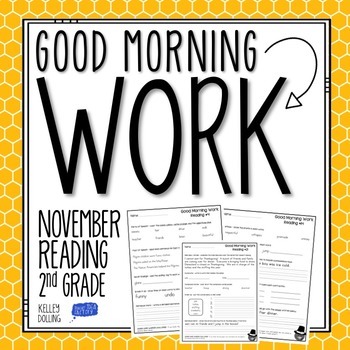 **First Grade Good Morning Work - Reading also available!